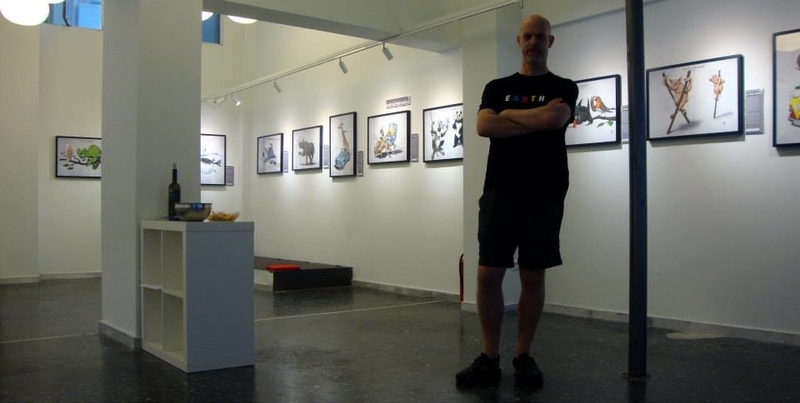 It’s been over 3 years since I did my last exhibition; Animal Behaviour II, and next month I have decided as part of the Graphic Stories Cyprus Conference to hold my first International exhibition, albeit in the Greek speaking country of Cyprus. My first exhibition, in 2013, was a big step for me, even though it was set to be opened in the city I live in. Mainly as I didn’t know what to expect. I had visited many other exhibitions of fellow artists and other local artists, but never understood the planning involved in the whole thing. It was a pleasant surprise. Luckily an ex-colleague had opened up a workspace/exhibition gallery and on visiting one day for an exhibition that was running I passed the question about doing my own. A brief discussion was made and the date was set to hold it as the first exhibition after the Summer break. Things fell into place quite nicely, as I had done a commission at the time that allowed me to have all the prints printed for free. These were shipped over from the USA, and all I had to do is purchase the necessary IKEA Ribba frames, and frame the images and I was set to go. Little did I know what was later to be in store. But we managed to get all the pictures shipped to the gallery without damage, and as the video shows, to was set up in a speedy fashion. Many of the other aspects of the gallery set-up were done by the gallery owner; the catering, publicity and event photography. So, the night of the event came alone. Fate would have it that the Prime Minister of Greece was going to be in town at the annual trade fair, but on top of that, an hour before the event, the skies opened up and a storm hit. All went well however, and the gallery became packed. Over the course of the event, I managed to make a slight profit above breaking even. This surprised me for my first exhibition. All, in total, with the gallery costs, the frames and printing, the expenditure was €1,000. 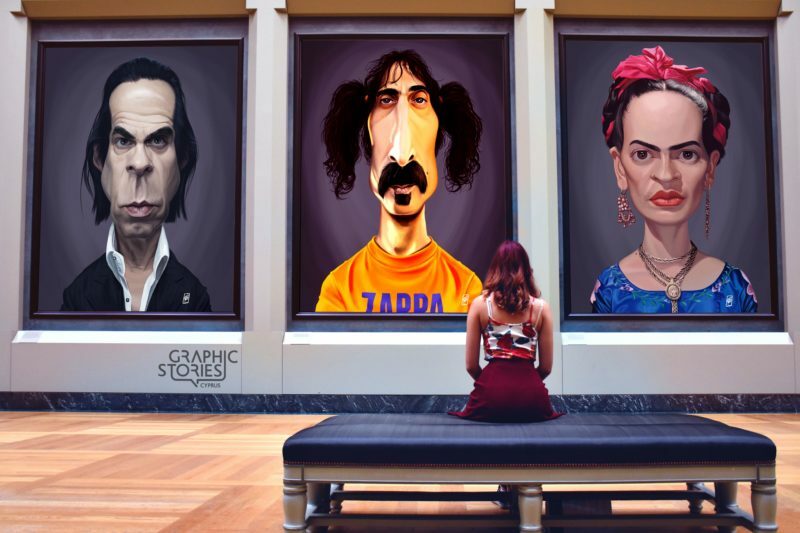 Now, I am guessing this is one of the reasons that many artists simply don’t do art exhibitions, unless the gallery does a percentage of sales procedure on the whole event. So, after my first exhibition, the following year I did a second one, as I had managed to do a considerable amount of new images. That all went well too, and again I broke even. 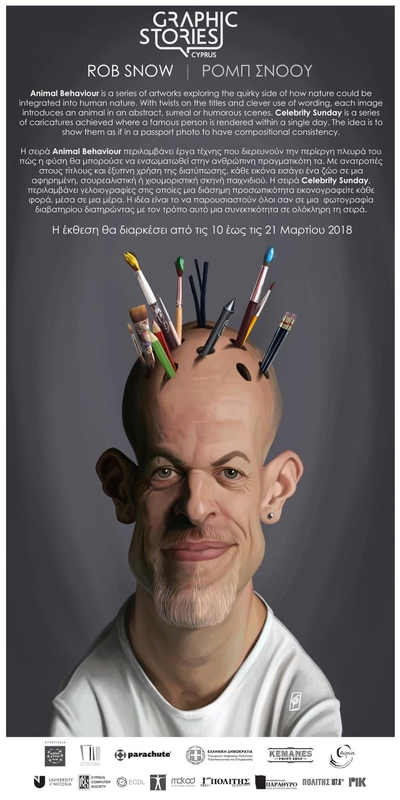 This year I am doing something different; I am firstly going abroad to show my work, which is a new experience, even if a Greek speaking country, and secondly I am showing my caricatures along side the animal art. In total I will be showing 70 images out of my 200+. The plan is to have an order book and take orders for any of the art that is not present at the exhibition. More images and news on the exhibition in the next Newsletter! Fingers crossed.